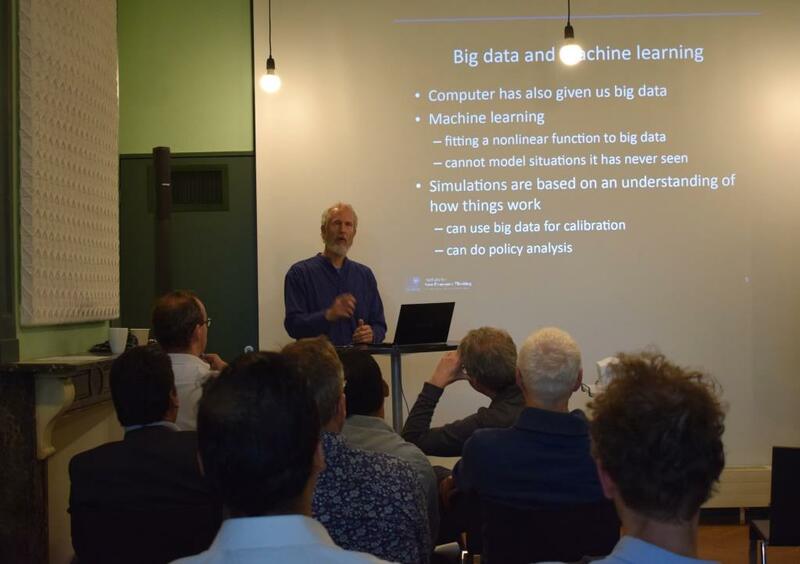 The Computational Science Lab (CSL) at Institute of Informatics together with Center for Nonlinear Dynamics in Economics and Finance (CeNDEF) at University of Amsterdam organized a workshop on Wednesday, June 7 at Institute for Advanced Studies in Amsterdam on the theme of Financial Complexity. Prof. Peter Sloot, Prof. Drona Kandhai, Dr. Sumit Sourabh from CSL and Prof. Cees Diks, Prof. Cars Hommes from CeNDEF were the organisers of this event. The topic of the workshop was “Use of Complexity Science Methods for the Inclusion of Systemic Risk in the Valuation and Risk Management of Financial Derivatives” and it was supported by a grant from Netherlands Platform Complex Systems (NPCS). The workshop consisted of a keynote talk from Prof. Doyne Farmer (University of Oxford), invited talks from multi-disciplinary experts and a brainstorm session to explore potential future research directions.